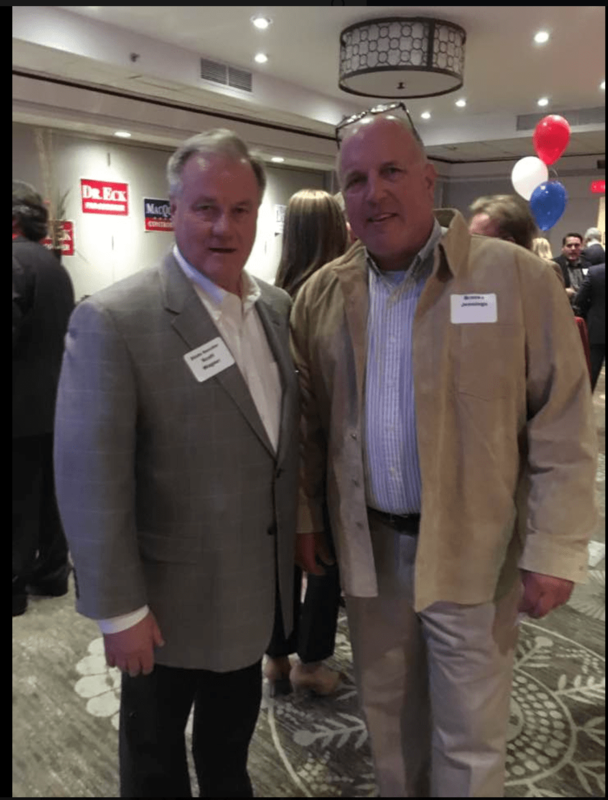 G. Brooks Jennings (right) with GOP gubernatorial candidate and state senator Scott Wagner at a GOP event. The photo comes from Brian Yanoviak’s Facebook page. Anti-Trumper Accused Of Killing GOP Activist — Clayton Carter, 51, of West Goshen, Pa. has been charged with murder and related crimes in connection with the death of his neighbor G. Brooks Jennings. Carter allegedly shot Jennings about 1 a.m. Tuesday (Aug. 8) after a dispute. Police said after Carter shot Jennings the first time he put a bullet in his head as he lay on the ground. Jennings was on his own property. What they didn’t mention was that the accused killer was a vocal opponent of Donald Trump and that the vicim was a Republican activist and strong Trump supporter. This is nothing new. Democrats lie when they talk about love and tolerance. When they accuse those who just want to be left alone of “H8” they are projecting. Why aam I not surprised? “The man who Chester County law enforcement authorities say shot and killed a neighbor as the culmination of a long running but largely unexplained dispute” If this is an unexplained dispute, all the law enforcement and reporters involved are complete absolute morons who are off somwhere in some la la land that is completely separated from any semblance to reality whatsoever. Brooks was an elected Republican Trump supporter and that whack job was a Trump hating democrat who had numerous over the top signs on his front lawn bashing Trump that anyone could plainly see and routinely stood in the street screaming profanity laced threats at Brooks which anyone could hear and caused problems with just about everyone else on the street. This article confirms the only people unaware of that are the police and the newspaper reporters. There is only one fact that has everything to do with this. This was a politically motivated murder of a an elected Republican Trump supporter by a rabid liberal Trump hating Democrat.